While the city was extremely diverse, I found it strange that the help in restaurants was usually black and the majority of diners were not. I’m certainly not a sociologist, but it made me think that racism in Cartagena must be a major problem. I have never seen so many police officers and soldiers in my life (and I’ve vacationed in Mexico City and Israel). Adding to their threatening presence was the fact they carried a variety of large, visibly loaded guns, in addition to assault weapons. 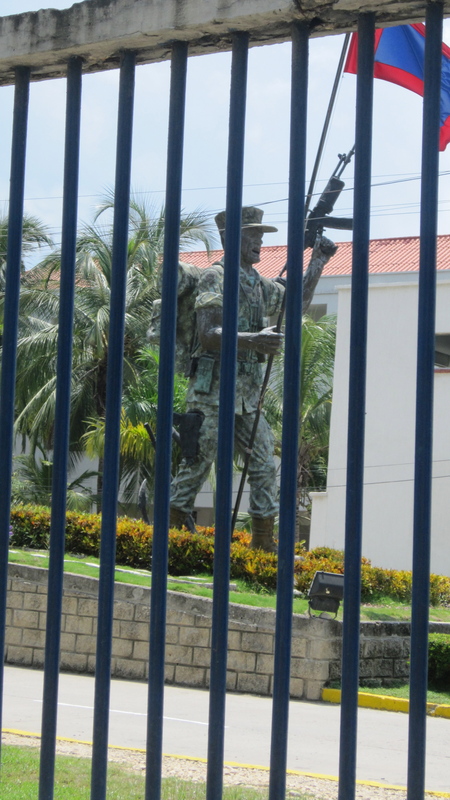 Perhaps I shouldn’t complain because they are the reason that Cartagena is so safe, but seeing machine guns and uzis never fails to disturb me. In addition to the many armed police officers and soldiers, many of the upscale stores and restaurants had their own private security guards. Private security and welding (for wrought iron building protection) seem like booming industries. To say that the streets were uneven and in dire need of repair would be a vast understatement. I know that it is an underdeveloped country, but the sidewalks struck me as a seriously hazardous situation (if you didn’t look down, you could fall into a hole). It made me wonder what types of personal injury laws are in place and who is liable for the many accidents that must occur there. That being said, I still want to go back soon! * Walked around the walled city and admired the architecture (generally done between the hours of 10AM-noon and 4-7PM, when it wasn’t too hot). * Discovered I like mojitos and alternated between ordering mojitos and piña coladas for my nightcap at the Sofitel Santa Clara Hotel bar. * Explored the stores on Avenida San Martín, the main shopping strip in Bocagrande. Although I saw some pretty bathing suits and cute matching cover-ups, I was a little disappointed by the shopping. Everything I liked was over $100 and you could buy similar clothes for the same price or less in the U.S. I did buy a nice cotton blouse on sale at a Colombian boutique for $12 and some FIFA t-shirts for friends, but that was about it for my purchases. * Ate a lot of seafood, particularly in the form of shrimp ceviche and fish soup. Entrees were generally served with coconut rice and fried plantains, neither of which I liked enough to replicate at home, but were interesting to try. The best thing I ate was actually ceviche from a street stand called Cocteleria La Torree, which was more established/safer looking than the typical street stand (it had a refrigerator, the chef wore a disposable surgical mask, and the sign said it’s been around for 25 years). 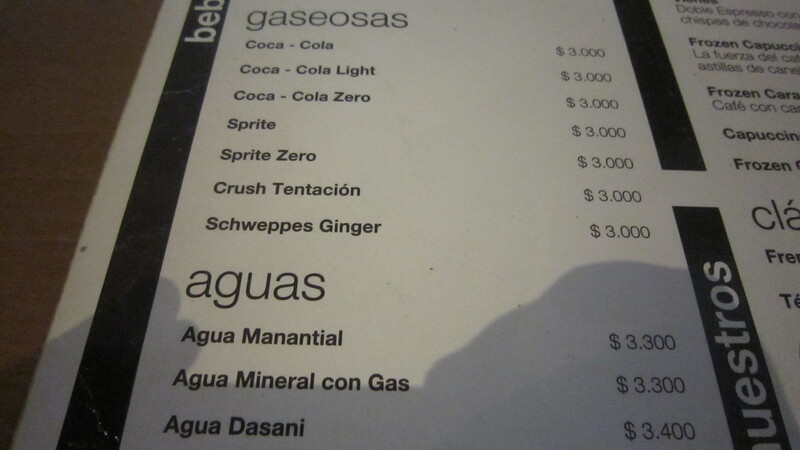 I also tried several types of fruit juice (ex. melon juice and tree tomato juice), although I wouldn’t strongly recommend either. * Visited some nice small museums, the gold museum being the standout. I really wanted to see the enormous gold museum in Bogota, but it was too far for our short visit, so we made do with the smaller version in Cartagena and it did not disappoint. * Went on a chiva bus tour party bus. This would be my least favorite (and the most over-hyped) activity in Cartagena. Every guidebook and website says that the chiva bus tours are a must do activity and fun for families and people of all ages. I think the real trick/secret to enjoying the bus tour is being drunk when you get on. As my mother and I were not drunk, we did not enjoy the loud sweaty people, live mariachi band two rows behind us, rum and Pepsi on board, and tour that was more comprehensible in Spanish than English. The most annoying part of the bus tour (aside from the overall loudness and perspiring neighbors leaning on us) was that the bus circled around the same neighborhood for over an hour looking for more tourists to pack into the already overly crowded bus. We bolted at the first stop, two hours in and two hours before it was supposed to end. * Read at the pool (and I’ll admit, more often in my room b/c I prefer AC to sun). * Spoke a lot of Spanish. While this seems like a given, I got more practice in Cartagena than anywhere else that I’ve visited as almost no one spoke English and I served as translator, negotiator, and guide for my mother. The trip was a great refresher! I just got back from a lovely 5-day vacation with my mother in Cartagena de Indias, Columbia and it seemed like a good topic for my first blog post in 2 years. Cartagena is a Caribbean beach resort city, aptly described by the Michelin guide as a “colonial jewel.” It is considered the safest place in Colombia because of the large tourist industry and the 2,000 police that are employed there to keep it that way. The main attraction is the colonial walled city, which is a UNESCO World Heritage Site. I’ve visited many places that are known for their multi-colored historic buildings (Burano, Italy; Charleston, SC; La Boca, Buenos Aires), but none were as charming as Cartagena. The buildings were decaying a bit, but not so much as to look decrepit and not so overly bright as to look Disneyfied. We stayed in Bocagrande, which is an area with a lot of hotels and high-rise buildings from the1980’s that were built for tourist packages. My mother chose the Hotel Bahia in Bocagrande because she wanted AC and a pool, which is a rare combo in the walled city. Initially I was disappointed that we weren’t staying in the historic area, but I ended up being very happy with the accommodations. 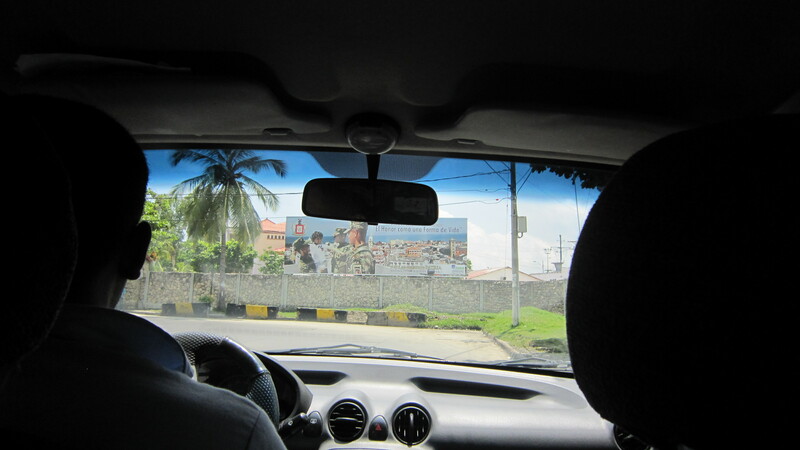 The walled city was less than 10 minutes away by taxi and the ride cost a set rate of 6 pesos (about $3.50 USD). Five days was more time than enough time to explore Cartagena, but it was too short to visit some of the other cities I wanted to see in Columbia (Bogotá and Medellín required flights or possibly unsafe and super long bus rides). And while we saw almost everything there was to see, Cartagena was so relaxing and beautiful that we would have gladly stayed longer. Tomorrow I will continue my Cartagena travel series and describe some of the fun things we did there. p.s. I was planning on watching Romancing the Stone when I was in Cartagena, but apparently Netflix instant is only available to viewers in the USA and territories. I finally saw it when I got home and I was quite disappointed because it was actually filmed in Mexico (and the story was ridiculous!). I read the movie was supposed to be filmed in Cartagena, but kidnappings in Columbia were high at the time so production was moved.